Facelift includes a range of procedures to restore a more youthful appearance by tightening and lifting the skin and soft tissues of the lower face and neck. As we get older the skin and underlying tissue that make up our faces can lose their elasticity and tone, resulting in the appearance of fine lines, wrinkles and folds. A facelift is an operation to reverse these effects, resulting in a tighter and smoother look and a more youthful appearance. the type of incision used. the area of the face being treated. Dr. Marcellino will discuss which is most suitable for you at your consultation. More detail on each is provided below. Most facelift procedures are performed under general anaesthetic, and take between two and three hours to complete. The most common form of facelift, this procedure is particularly effective for older people with severe facial sagging and laxity. Delivering long-lasting benefits, it treats the underlying tissue layers and muscles, removing nasolabial folds and a more defined jaw and chin. Although the most invasive face-lift procedure, it can deliver quite dramatic results, with effects that can last for 10-15 years. By the time we reach our mid-30s the soft tissue around the cheekbones can start to sag, creating prominent nasolabial folds and causing laxity in the mid-face area. The second most common procedure, the subperiosteal facelift provides a vertical lift to these tissues, rejuvenating the upper two thirds of the face. The procedure requires several small incisions along the hairline and inside the mouth so that the fatty tissue in the affected areas can be lifted and repositioned, meaning that visible scarring is virtually non-existent. A threadlift, or featherlift, involves the use of tailored surgical thread to hold the lifted skin in its new place. This technique is a less invasive option and can normally be performed under local anaesthetic. It is very popular with people in their late 30s to early 40s who seek minimal improvements to treat sagging or laxity in the eye area, forehead, and nasiolabial folds. The procedure involves a barb suture technique. In this technique, barbs that act as a hook are used with threads to gather skin layers in an upward direction, thereby tightening the skin. The thread itself, which has small barbs to hold the skin in place, is not reabsorbed or dissolved and remains intact. No skin is cut away and only the barbs on the threads deliver the lifting effect. Firstly, you will be given a general anaesthetic before the procedure begins. Once the anaesthetic has set in, Mr Marcellino will make an incision along the hairline, down and past the front of the ears and up into the hairline behind the ears. Your skin is then detached from the underlying tissues. Surplus fat is then either removed or repositioned and the skin is trimmed of any excess. The face is then lifted and stitched back into its new position. Permanent stitches can be left under the skin so that deep tissues are fixed in position. Once the anaesthetic has set in, as with the SMAS technique, an incision will the be made along your hairline. This incision will run down the hairline past the front of the ears, and back up into the hairline behind the ears. Mr Marcellino will then vertically lift the soft tissues on your face, remodelling the excess tissues at their bony origins and removing any surplus fat and skin. The skin is then lifted over the reconstructed tissue and stitched back into place. Firstly, you will receive a local anaesthetic. A hollow needle is then passed through the skin and a barbed thread inserted via the needle. The barbed thread catches on soft tissues once inserted, helping to provide a structure that lifts the skin into its new position. After the needle is removed, Mr Marcellino will lift the sagging areas with both smooth and barbed sutures before securing them down. He will then sculpt the sagging skin by threading them underneath near the temple hairline. The threads are then tightened and positioned, lifting the face, before being secured and cut very close to the skin. If you smoke it is strongly recommended that you stop at least two weeks prior to your surgery in order to help healing and reduce the risk of infection. Ideally you should stop 8 weeks beforehand. If you take aspirin or any other medication you should make Mr Marcellino aware of this at your consultation as it may need to be discontinued for a short period of time before and after your procedure. With general anaesthetic you will be asked to follow fasting instructions. This means not eating or drinking for around six hours before the operation. Both Mr Marcellino and your anaesthetist will provide precise advice on this in advance of your procedure. Mr Marcellino will visit you in your room prior to your procedure, marking your face with a pen, also affording you the opportunity to ask any last minute questions you might have. A final consent form will also need to be signed at this point. A personal nurse will be assigned to you to ensure your care and comfort throughout. At the end of the operation an elastic-compressive bandage will be applied to your face and neck which will need to be worn for two days. After 5-6 days the stitches will be removed and a slightly compressive sheath will need to be applied during the night for a further 10 days. From this point onwards patients you will be able to wash your hair delicately. Mr Marcellino will advise on anticipated recovery times and how long you are likely to need off work at your consultation. These will vary according to the procedure being performed. He will also provide an indication of how long you will need to refrain from sporting or strenuous activity. As with all plastic surgery, there will be some scarring, but these scars will be hidden from view and will heal to become barely visible white lines with the passage of time. It is crucial that those considering surgery have realistic expectations and are in good health. 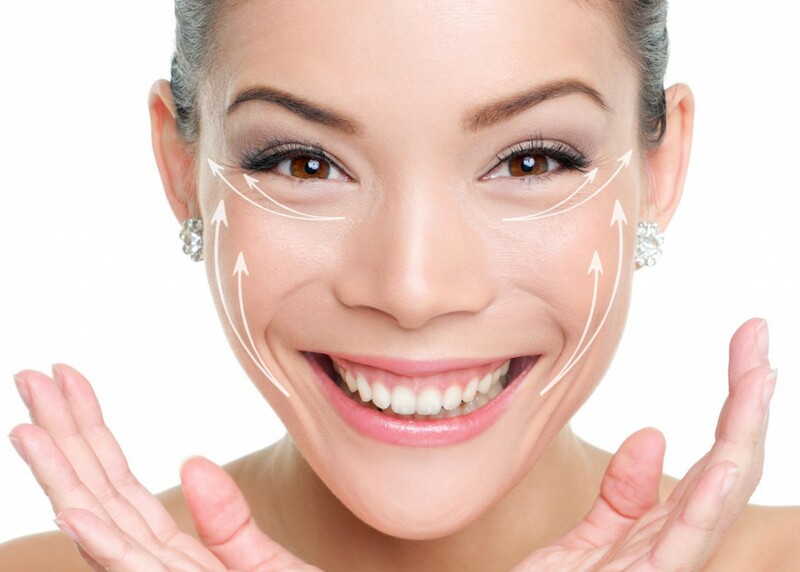 It is important for you to bear in mind that a face lift will not directly change your life. And ultimately, the long lasting results of your surgery will depend on your skins natural elasticity. However, it is worth noting that many patients report that the psychological results exceeded their expectations. As with all surgical operations, there are also some potential risks and complications to consider. Dr. Marcellino will discuss these with you at your consultation, addressing any questions or concerns you may have. Some thought should also be given to practical considerations such as domestic chores and child care provision in the days and weeks following your operation, which should ideally be set aside for rest and recovery. "We live only to discover beauty. All else is a form of waiting."